Childcare Volunteer Programs, If you’re seeking a unique overseas travel opportunity with a focus on positive social change, look no further! We provide the chance to immerse yourself in volunteer work abroad with people and animals in disadvantaged communities all over the world – and today we’re putting childcare volunteer opportunities in the spotlight. If you’re seeking a unique overseas travel opportunity with a focus on positive social change, look no further! We provide the chance to immerse yourself in volunteer work abroad with people and animals in disadvantaged communities all over the world – and today we’re putting childcare volunteer opportunities in the spotlight. In many of the countries we work with, millions of children live below the poverty line. Living in squalor and struggling against disease and malnutrition, they lead difficult lives and are in desperate need of help. Volunteering with A Broader View puts you at the heart of the communities that need you most, giving you the chance to effectuate a change, enrich lives and make a genuine and lasting difference. Two days volunteering in a nursery school or day care center are never the same! You could find yourself painting, cooking, reading stories, leading a sing-a-long or organizing a soccer game. The emphasis is on creative learning, promoting health and hygiene and providing basic English lessons, as well as helping with the day-to-day operation of the center. Giving the children the individual attention they crave and require to grow, learn and develop is paramount and supports teachers in their mission to provide housing, food, education and healthcare under one roof. Nestled between three volcanoes and with a fascinating historic center, Arequipa is an exciting place to volunteer abroad, especially when you can make a huge difference to the lives of very young children. Aged between six months and three years old, our Arequipa center provides a safe haven for 15-20 children whose parents are unable to fund private childcare. Volunteers with basic Spanish are welcome, although we also supply Language Immersion programs to get you started! Please note that this program is available for females only. There is another center in Ayacucho which anyone is welcome to apply for. An ancient archipelago some 1,000 kilometers off the coast of Ecuador, the mysterious Galápagos Islands are home to an array of fascinating wildlife, some completely unique to the area. What better place to volunteer in our community day care and nursery school center! Based on Santa Cruz, many of the children are from immigrant families who moved to the Galápagos Islands in search of a better life. You will be helping to care for around 35 children aged two to five years old, managing upkeep duties at the facility and supporting their recreational and educational needs. With dense jungle, spectacular coastline and incredible biodiversity, Costa Rica is a favorite with our volunteers! 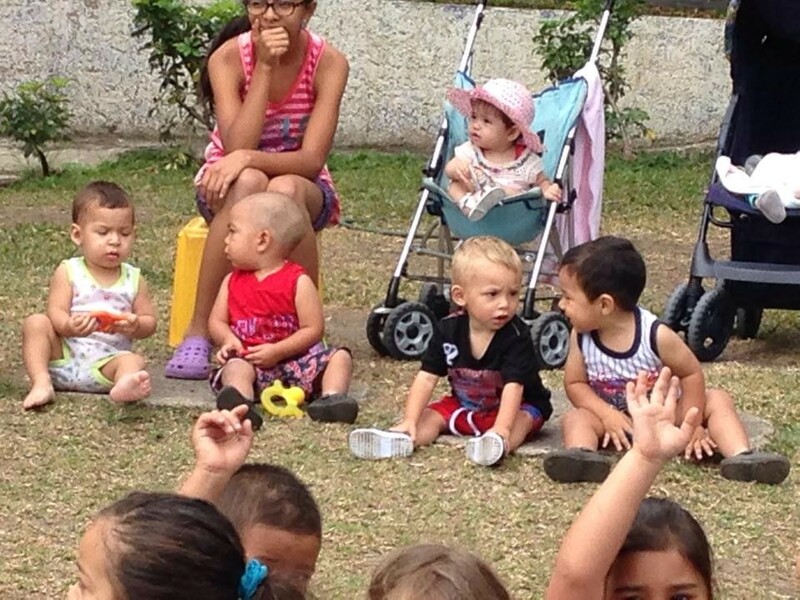 Our volunteer abroad childcare programs are based in Escazu and San Jose, where you will help care for over 100 children between the ages of two and six years old. The play-based curriculum focuses on the social, emotional and physical development of the children, while general tasks may include: teaching numbers and letters in English, playing games, arts and craft and light cleaning jobs. The San Jose center is also for adolescents from poor families who have limited access to social services. Stepping out of your comfort zone is a great way to grow, learn and develop – and that’s exactly what our childcare volunteering program can offer at our daycare center in colorful Cartagena. Surrounded by poor neighborhoods with families who often can’t afford daily meals, this special center is managed by the government and main social welfare institution in Colombia. Many of the children, unfortunately, have psychological problems due to their poor living conditions, and volunteers are needed to tell stories, teach English and help them eat. In your spare time, stroll down the cobblestone streets and past the colorful colonial buildings, or enjoy a day off at the beach. Some of our volunteer abroad programs have the power to break your heart, particularly when you witness children and animals in desperate need. Our orphanages not only give you the experience of working with children abroad but ground you in what could be one of the most humbling experiences of your life. A tour orphanages around the world, you will help with the day-to-day operation of the facility, helping with food, education, and healthcare, and hopefully, leave with greater awareness and appreciation for life back home. Our childcare volunteer opportunities are designed to make a big impact, and no one will appreciate your time and patience more than the orphans and abandoned street children in Tanzania. 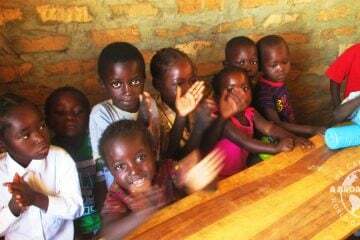 A lack of resources is a perennial concern of this much-needed center, and your support will be gratefully received, particularly if you learn a few words in Swahili. Look after the children or get technical by developing the database and the website. There will also be an opportunity to launch crowdfunding campaigns to fundraise for education and activities at the center – and explore your beautiful surroundings of course! If you’re looking for a particularly meaningful way to volunteer orphanage programs in India are a great place to start. Thousands of children live on the streets, many of the female due to the county’s struggles with gender inequality and female feticide. Our female-dominated orphanage provides food, healthcare, education and a roof over the heads of some of the world’s most impoverished children. Known as the ‘pink city’ and packed with historical forts and palaces, Jaipur is a fascinating place to spend some quality time with India’s disadvantaged youth. We have two orphanages in Ha Noi, the bustling capital of beautiful Vietnam. Our rural facility is located 50 kilometers outside of Ha Noi and perfect for nature lovers, who will enjoy being surrounded by mountains and fertile farmland. The center caters for children, young people and older residents with disabilities, and you will be helping with rehabilitation, art therapy, and physical activities. Looking for unique childcare volunteer opportunities? We also have a special needs children’s village just outside of Ha Noi, which provides medical care, physical therapy, and vocational training for over 100 children with physical and mental conditions. These are just a few of the destinations on offer – there are plenty more on our website to scroll through at your leisure including South Africa, Zambia, Nepal, Chile, Nicaragua…the list goes on! In communities across the globe, there is an ongoing need for native English speakers in rural and urban schools. 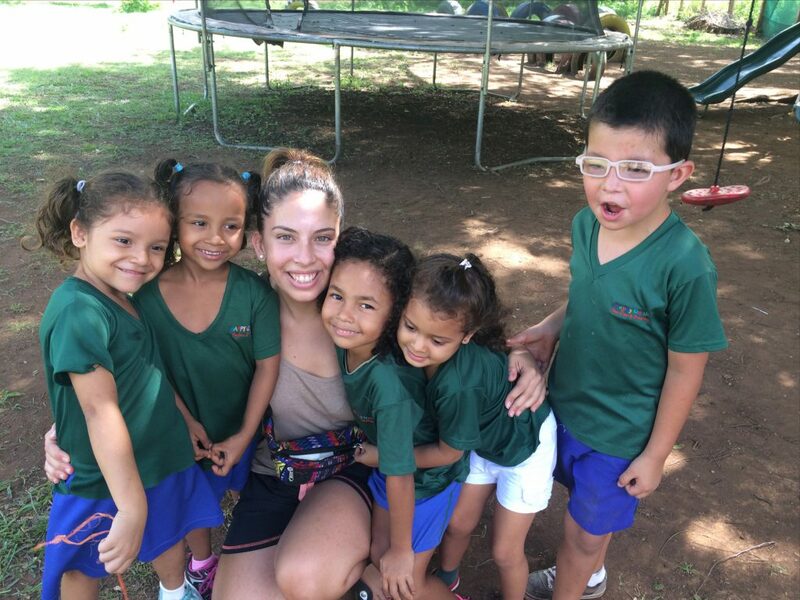 Children in the poor neighborhoods where we place our volunteers are eager to learn and develop their conversational English – and the good news is our teaching abroad programs don’t require a formal background in education! 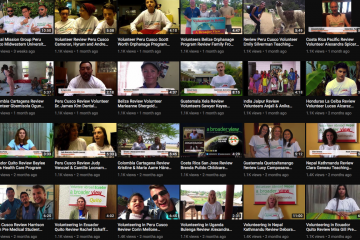 Help students, parents and teachers alike with the following teach abroad programs. With a pre-school and a vocational and secondary education facility to choose from, Rwanda offers opportunities for children aged three to six years as well as the chance to work with disadvantaged teens. Help the younger children with constructive play time, reading, writing, and social harmony, or dedicate your time to teaching English to poor and advantaged teens and youths in the local community. Don’t forget to leave time after your program to visit the mountain gorillas and chimpanzees which inhabit Rwanda’s mountainous landscape! Saffron robes, ancient temples and spectacular mountain ranges…if you want to volunteer teaching abroad in this exotic, mysterious land is second to none! This teach abroad program is also unique in that you will be teaching English to Buddhist monks between four and eighteen years old. Many parents send their children to the monastery in search of better living conditions and higher quality education, and the level of English is very poor compared to other school children. You will work under the supervision of a monastery teacher or administrator. Teach English abroad in exotic China! A port city in northeast central China, volunteers in Yantai will find themselves in kindergartens, primary schools, high schools or colleges with a focus on English language comprehension and speaking skills. You will assist the local and bilingual teacher for around 20-25 hours a week using books, songs, and other creative teaching aids! What are the benefits of volunteering overseas with A Broader View? As a trusted organization which has been operating for 11 years, we’ve got links with all the best places to teach English abroad and run excellent childcare volunteering programs across the globe. We’ve worked extremely hard to build long-lasting relationships with our partners, which are founded on mutual trust and respect. We strongly believe that the best life lessons come from hands-on work, experience, and travel. Our volunteer abroad programs are meaningful, rewarding and provide a real opportunity to make an impact in disadvantaged communities. And the great thing is, you can get others involved with the cause too! Because we’re a registered charitable non-profit organization, you can fundraise to help cover the costs of your volunteer experience and raise awareness about a cause you truly care about. If your fundraising efforts are successful, you could effectively volunteer in orphanages abroad for free. And remember that if you’re a US taxpayer, your program fees and related travel expenses such as flights are tax deductible! How’s that for rewarding, profound and cheap volunteer abroad opportunities? Find out more at https://www.abroaderview.org/and feel free to contact us if you have any questions.